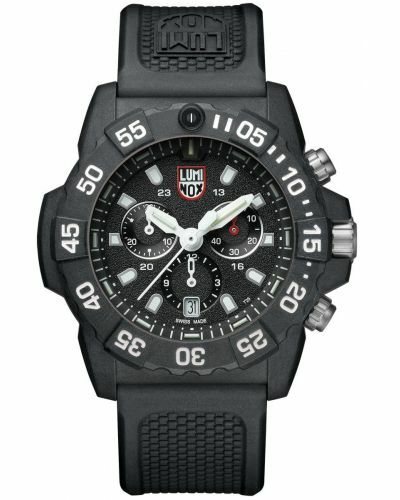 If a watch with superb luminosity is what you are after, then look no further than Luminox; designed for use in the Navy these Swiss made timepieces have a glowing reputation. This men’s watch comes as part of the Navy Seal Chronograph collection XS.3581.BO and features a black Carbon coated 45mm stainless steel case and uni-directional bezel complete with debossed black hour markers and an orange luminous LLT marker at the 12 O’clock. Housed beneath protective hardened mineral glass lies the alluring black stealth dial with a black date display window, chronograph/stopwatch subdials and large stealth black hour markers. Night-vision tubes which utilize Luminox’s technology provide continual luminescence for up to 25 years and are used on the hour and minute hands in green and orange and are positioned in 10 minute increments around the watch dial. 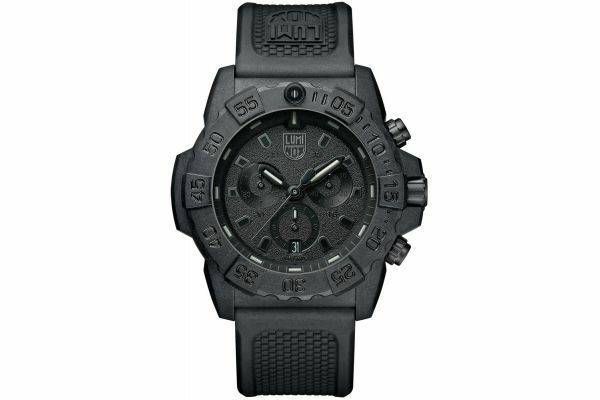 Set upon a durable yet breathable jet black signature silicone strap and fastened by a secure loop-lock closure XS.3581.BO is ideal for more rugged activities and sporting events. Powered by Swiss Quartz movement and protected by a double security gasket, the Navy Seal Chronograph watch is water resistant up to 200 meters and can be worn whilst swimming and non-saturation scuba diving. 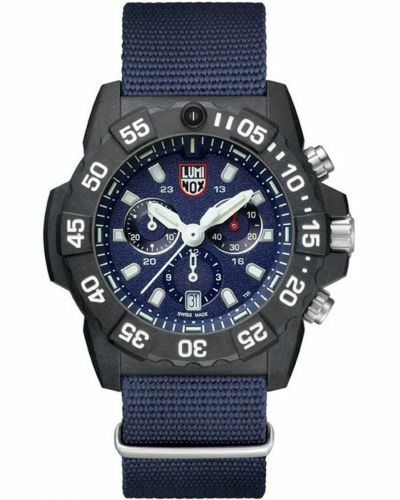 The Navy Seal Chronograph XS.3581.BO comes complete with a two year guarantee and official Luminox packaging. 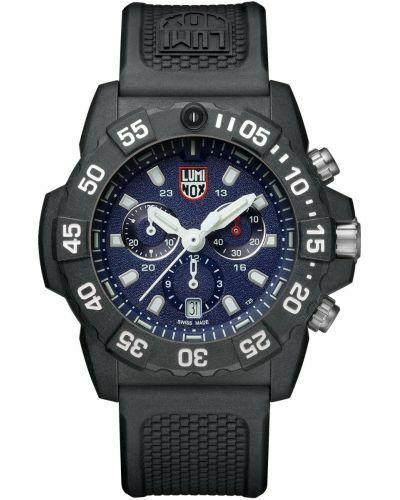 For us to size your new Luminox 3500 Series watch as accurately as possible, please take a look at our downloadable Watch Sizing Guide.